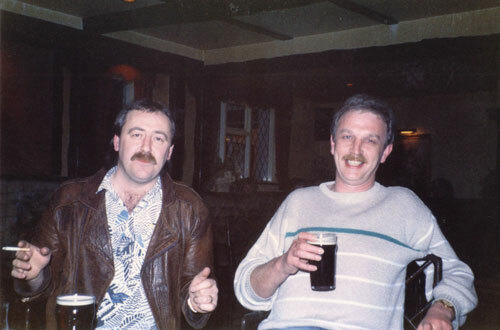 Notable in this recent photo (apart from Pete trying to pop his eyeballs out) are two Zany mates from way back. 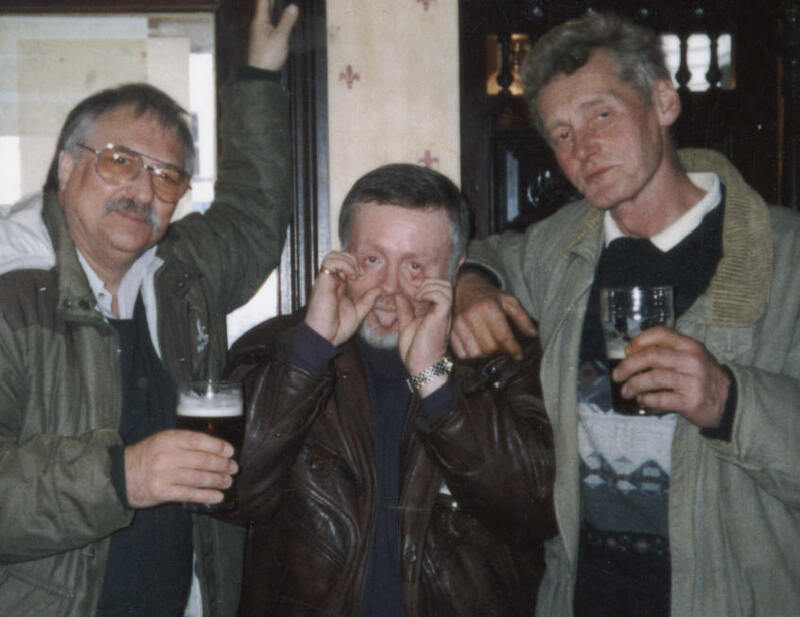 Far right is Jeffrey ‘Jebs’ Gosling whose father was the landlord of The Royal Hotel in Cleckheaton – the Zanies favourite watering hole. 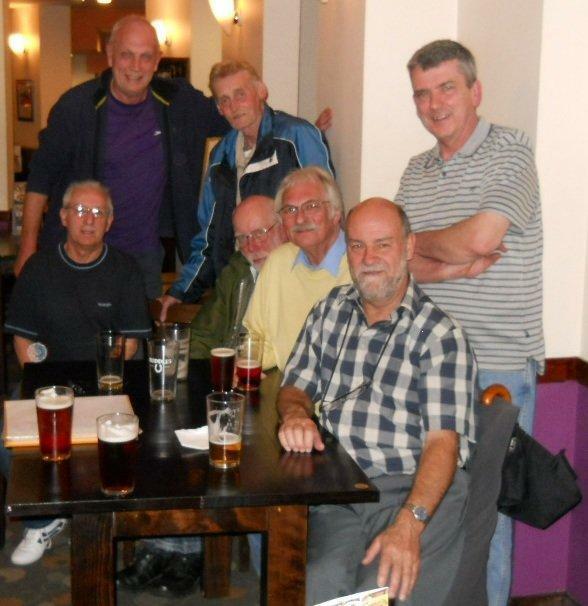 On the far left is John Hill. 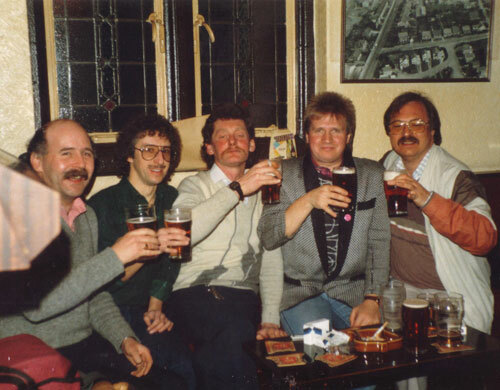 Photo taken circa 1988 – pints in hand (as usual), and yet another gathering of the ZWO clan. 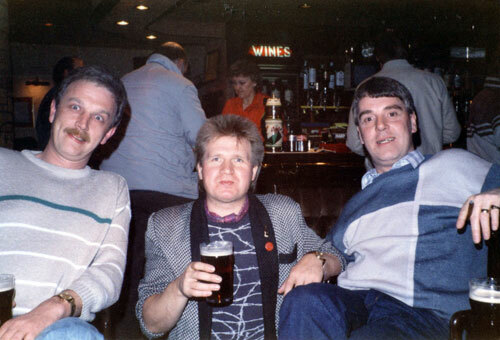 Photo taken circa 1988 – I always enjoyed a social pint or two when and catching up with ZWO mates whilst visiting from Australia.